Roy Batchelor is Professor of Banking and Finance at Cass Business School, City, University of London. Until 2017 he was Director of the Cass Executive MBA programme in Dubai. He is currently a Fellow and Research Professor at the CES-Ifo Institute of the University of Munich. After graduating from Glasgow University, Roy worked as a government scientist and economist; then at the UK National Institute of Economic and Social Research, forecasting and analyzing the UK economy, and writing on world trade and industrialization; at a leading firm of London stockbrokers, where he tried to forecast the stock market; and at the London International Financial Futures Exchange where he ran training courses for traders and hedgers. Professor Batchelor’s research and teaching now focuses on economic and financial market forecasting, the interpretation and use of consumer and business survey data, rationality and behavioural finance, and risk management in financial markets. He has published widely in academic journals in these fields. He has been Associate Editor of the International Journal of Forecasting, and is currently an Editor of the practitioner journal Foresight. He is co-author, with Professor Pami Dua, of Financial Forecasting (Edward Elgar, 2004, 2 volumes, 1133 pages). In 2008 Professor Batchelor was elected Honorary Fellow of the International Institute of Forecasters, and he has since served as a Director of the IIF. 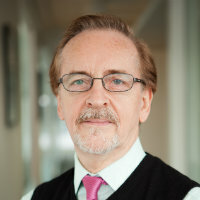 In addition to academic work, Professor Batchelor is active in professional training and consultancy, and has conducted seminars on technical innovations in economics and finance for professional audiences in London, New York, Paris, Tokyo, Shanghai, Dubai, Mumbai, and other international financial centres. He was lead speaker at the UK-Korea Business Forum held in Seoul as part of the State Visit of HM Queen Elizabeth II to Korea in April 1999. He has held visiting appointments at Purdue University, the University of Connecticut, the Stockholm School of Economics, and ESCP/EAP Paris. Professor Batchelor has acted as economic adviser to stockbrokers Smith New Court, LIFFE, the World Gold Council, leading market research company Canadean, and other commercial organisations. He has given expert legal evidence in cases relating to the quality of financial forecasting and trading systems, has conducted research for the European Commission and the UK Treasury, prepared submissions for Parliamentary Committees, and served on the Bank of England's Panel of Academic Advisors. Are differences in economic and financial analyst forecasts due to differences in information, differnces in forecast methods, or differences in individual and organisational attributes? This research programme assesses whether advanced neural networks can improve short term forecasts of GDP and industrial production in Germany and other EU countries. Survey data on business and consumer sentiment are important inputs to this exercise. This project uses firm-level data from the Ifo business survey to identify waves of endogenous “epidemics” of optimism and pessimism in business sentiment, and separate these from exogenous shocks due to macroeconomic news. Batchelor, R.A. and Dua, P. (2003). Financial Forecasting. Edward Elgar Publishing Ltd. ISBN 978-1-84064-034-2. Batchelor, R.A., Alizadeh, A.H. and Visvikis, I.D. (2016). The relation between bid-ask spreads and price volatility in forward markets. Derivatives and Hedge Funds (pp. 161–184). ISBN 978-1-137-55416-1. Batchelor, R.A. (2010). How robust are quantified survey data? Evidence from the United States. In Peter Sinclair, (Ed. ), Inflation Expectations Oxford and New York: Routledge. ISBN 0-415-56174-4. Batchelor, R.A. and Albanis, G.A. (2001). 21 nonlinear ways to beat the stock market. In Dunis, C., Timmerman, A. and Moody, J. (Eds. ), Developments in Forecast Combination and Portfolio Choice (pp. 81–110). Wiley. ISBN 978-0-471-52165-5. Batchelor, R.A. and Albanis, G.A. (2001). Predicting high performance stocks using dimensionality reduction techniques based on neural networks. In Dunis, C., Timmerman, A. and Moody, J. (Eds. ), Developments in Forecast Combination and Portfolio Choice (pp. 117–134). Wiley. ISBN 978-0-471-52165-5. Albanis, G.T. and Batchelor, R.A. (2000). Five classification algorithms to predict high performance stocks. (pp. 295–317). ISBN 0-7923-7778-8. Batchelor, R.A. and Zarkesh, F. (2000). Variance rationality: a direct test. In Gardes, F. and Prat, G. (Eds. ), Expectations in Goods and Financial Markets (pp. 156–171). London and New York: Edward Elgar. Batchelor, R.A. (1998). Confidence and the macroeconomy: a Markov switching model. In Poser, G. and Oppenlander, H. (Eds. ), Social and Structural Change - Consequences for Business Cycle: Selected Papers Presented at the 23rd Ciret Conference, Helsinki (Ciret Conference Proceedings Aldershot: Ashgate. ISBN 978-1-84014-536-6. Batchelor, R. (2009). Contagion and common shocks in survey expectations. International Symposium on Forecasting Hong Kong. Batchelor, R. (2008). Forecast dispersion as a measure of risk: applying the Kelly rule to options on T-bill futures. International Symposium on Forecasting Nice, France. Batchelor, R. (2007). Forecaster Diversity and Forecast Performance. International Symposium on Forecasting New York. Batchelor, R. (2006). The Behaviour of Economic Forecasters. CESifo Seminar 13 December, Munich, Germany. Batchelor, R. (2006). How Robust are Quantified Survey Data? Evidence from the United States. NBP Workshop 2006: The role of inflation expectations in modelling and monetary policy making 9-10 February, National Bank of Poland, Warsaw, Poland. Batchelor, R. (2006). Bias in Macroeconomic Forecasts. International Symposium on Forecasting Santander, Spain. Batchelor, R. (2005). Magic Numbers in the Dow. International Symposium on Forecasting San Antonio, USA. Batchelor, R. (2005). When Good Forecasts go Bad. International Symposium on Forecasting San Antonio, USA. Batchelor, R. (2005). Behavioural Finance and Technical Analysis of the Foreign Exchange Market. Technical Analyst Conference London. Batchelor, R. (2005). Errors in Forecasts for the European Economy: Rational Bias v. Learning. The State of Macroeconomic Forecasting Leipzig, Germany. Batchelor, R. (2004). Judgmental Bootstrapping of Technical Traders. Forecasting Financial Markets ESCP Paris. Kavussanos, M.G., Visvikis, I.D. and Batchelor, R.A. (2004). Over-the-counter forward contracts and spot price volatility in shipping. Kwan, S. and Batchelor, R. (2003). Why are profitable traders profitable? International Symposium on Forecasting Merida, Mexico. Kwan, S. and Batchelor, R. (2002). The evaluation of technical forecasts: synthetic versus actual trading rules. International Symposium on Forecasting Dublin. Batchelor, R.A. (2017). Earnings Forecasts: The Bias is Back. Foresight: the international journal of applied forecasting, 26, pp. 5–9. Batchelor, R.A. (2015). Financial Crises and Forecasting Failures. Foresight: The International Journal of Applied Forecasting, (36 (Winter 2015)), pp. 28–31. Batchelor, R.A. (2013). Is Success a Result of Skill or Luck? Book review: The Success Equation – Untangling Skill and Luck in Business, Sports, and Investing by Michael J. Mauboussin. Foresight: the international journal of applied forecasting, (30 (Summer 2013)). Batchelor, R.A. (2012). Good Patterns, Bad Patterns. Foresight: the international journal of applied forecasting, (25 (Spring 2012)), pp. 26–26. Batchelor, R.A. (2011). Accuracy versus Profitability. Foresight: The International Journal of Applied Forecasting, (21 (Spring Issue)), pp. 10–15. Batchelor, R. (2010). Worst-Case Scenarios in Forecasting: How Bad Can Things Get? Foresight: The International Journal of Applied Forecasting, 18, pp. 27–32. Batchelor, R. and Dua, P. (2009). SURVEY vs ARCH MEASURES OF INFLATION UNCERTAINTY*. Oxford Bulletin of Economics and Statistics, 55(3), pp. 341–353. doi:10.1111/j.1468-0084.1993.mp55003005.x . Batchelor, R. (2009). Forecasting Sharp Changes. Foresight: The International Journal of Applied Forecasting, (13 (Spring 2009)), pp. 7–7. Batchelor, R. (2009). Why Do We Need Complexification? A Commentary on Rethinking the Ways We Forecast. Foresight: The International Journal of Applied Forecasting, 14 (Summer 2009), pp. 31–34. Batchelor, R. and Kwan, T.Y. (2007). Judgemental bootstrapping of technical traders in the bond market. International Journal of Forecasting, 23(3), pp. 427–445. doi:10.1016/j.ijforecast.2007.05.007 . Albanis, G. and Batchelor, R. (2007). Combining heterogeneous classifiers for stock selection. Intelligent Systems in Accounting, Finance and Management, 15(1-2), pp. 1–21. doi:10.1002/isaf.282 . Batchelor, R.A. (2007). Bias in macroeconomic forecasts. International Journal of Forecasting, 23-Jan, pp. 189–203. Batchelor, R., Alizadeh, A. and Visvikis, I. (2007). Forecasting spot and forward prices in the international freight market. International Journal of Forecasting, 23(1), pp. 101–114. doi:10.1016/j.ijforecast.2006.07.004 . Batchelor, R. and Manzoni, K. (2006). THE DYNAMICS OF BOND YIELD SPREADS AROUND RATING REVISION DATES. Journal of Financial Research, 29(3), pp. 405–420. doi:10.1111/j.1475-6803.2006.00186.x . Batchelor, R.A., Alizadeh, A.H. and Visvikis, I.D. (2005). The relation between bid–ask spreads and price volatility in forward markets. Derivatives Use, Trading & Regulation, 11(2), pp. 105–125. doi:10.1057/palgrave.dutr.1840012 . Batchelor, R.A. (2005). A primer on forecasting with neural networks,. Foresight: The International Journal of Applied Forecasting, (2 (Fall 2005)), pp. 37–43. Batchelor, R. (2004). The pros and cons of technical analysis: an academic perspective. The Technical Analyst, 1(1), pp. 13–17. Batchelor, R. and Orakcioglu, I. (2003). Event-related GARCH: the impact of stock dividends in Turkey. Applied Financial Economics, 13(4), pp. 295–307. doi:10.1080/09603100210138547 . Batchelor, R.A. (2001). Confidence indexes and the probability of recession: a Markov switching model. Indian Economic Review, Special Issue on Analysis of Business Cycles(Special Issue on Analysis of Business Cycles), pp. 107–124. Batchelor, R.A. (2001). How useful are the forecasts of intergovernmental agencies? The IMF and OECD versus the consensus. Applied Economics, 33(2), pp. 225–235. doi:10.1080/00036840121785 . Batchelor, R. and Peel, D.A. (1998). Rationality testing under asymmetric loss. Economics Letters, 61(1), pp. 49–54. doi:10.1016/s0165-1765(98)00157-8 . Batchelor, R.A. and Dua, P. (1998). Improving macro-economic forecasts: The role of consumer confidence. International Journal of Forecasting, 14(1), pp. 71–81. Batchelor, R. and Dua, P. (1996). Empirical measures of inflation uncertainty: a cautionary note. Applied Economics, 28(3), pp. 333–341. doi:10.1080/000368496328704 . Batchelor, R. (1995). On the importance of the term premium in the T-bill market. Applied Financial Economics, 5(4), pp. 235–242. doi:10.1080/758536873 . Batchelor, R. and Gulley, D. (1995). Jewellery demand and the price of gold. Resources Policy, 21(1), pp. 37–42. doi:10.1016/0301-4207(95)92250-u . Batchelor, R. and Dua, P. (1995). Forecaster Diversity and the Benefits of Combining Forecasts. Management Science, 41(1), pp. 68–75. doi:10.1287/mnsc.41.1.68 . Batchelor, R.A. (1995). The Case for Divisia Money. Review of Policy Issues, 1(5), pp. 57–66. Batchelor, R. and Dua, P. (1992). Conservatism and consensus-seeking among economic forecasters. Journal of Forecasting, 11(2), pp. 169–181. doi:10.1002/for.3980110207 . Batchelor, R.A. and Dua, P. (1992). Survey Expectations in the Times Series Consumption Function. Review of Economics and Statistics, 74(4), pp. 598–606. Batchelor, R. and Orr, A. (1991). Inflation uncertainty, inflationary shocks and the credibility of counterinflation policy. European Economic Review, 35(7), pp. 1385–1397. doi:10.1016/0014-2921(91)90025-e .
Batchelor, R.A. and Dua, P. (1991). Blue Chip Rationality Tests. Journal of Money, Credit and Banking, 23(4), pp. 692–705. BATCHELOR, R.A. (1990). ALL FORECASTERS ARE EQUAL. JOURNAL OF BUSINESS & ECONOMIC STATISTICS, 8(1), pp. 143–144. BATCHELOR, R.A. and DUA, P. (1990). PRODUCT DIFFERENTIATION IN THE ECONOMIC-FORECASTING INDUSTRY. INTERNATIONAL JOURNAL OF FORECASTING, 6(3), pp. 311–316. doi:10.1016/0169-2070(90)90058-J . Bathcelor, R. and Dua, P. (1990). Forecaster ideology, forecasting technique, and the accuracy of economic forecasts. International Journal of Forecasting, 6(1), pp. 3–10. doi:10.1016/0169-2070(90)90093-q . BATCHELOR, R.A. and DUA, P. (1989). HOUSEHOLD VERSUS ECONOMIST FORECASTS OF INFLATION - A REASSESSMENT. JOURNAL OF MONEY CREDIT AND BANKING, 21(2), pp. 252–257. doi:10.2307/1992374 . BATCHELOR, R.A. and ORR, A.B. (1988). INFLATION-EXPECTATIONS REVISITED. ECONOMICA, 55(219), pp. 317–331. doi:10.2307/2554010 . BATCHELOR, R.A. and DUA, P. (1987). THE ACCURACY AND RATIONALITY OF UK INFLATION-EXPECTATIONS - SOME QUANTITATIVE EVIDENCE. APPLIED ECONOMICS, 19(6), pp. 819–828. doi:10.1080/00036848700000112 . BATCHELOR, R.A. (1986). THE PSYCHOPHYSICS OF INFLATION. JOURNAL OF ECONOMIC PSYCHOLOGY, 7(3), pp. 269–290. doi:10.1016/0167-4870(86)90021-8 . BATCHELOR, R.A. (1986). QUANTITATIVE V QUALITATIVE MEASURES OF INFLATION-EXPECTATIONS. OXFORD BULLETIN OF ECONOMICS AND STATISTICS, 48(2), pp. 99–120. Batchelor, R.A. (1983). British economic policy under margaret thatcher: A mid term examination A comment on darby and lothian. , 18(1), pp. 209–219. Batchelor, R.A. (1982). Money and monetary policy in interdependent nations : R.C. Bryant, (Brookings Institution, 1980) pp. xxii + 584, $29.95 (cloth), $12.95 (paper). , 13(3-4), pp. 395–396. BATCHELOR, R.A. (1982). EXPECTATIONS, OUTPUT AND INFLATION - THE EUROPEAN-EXPERIENCE. EUROPEAN ECONOMIC REVIEW, 17(1), pp. 1–25. doi:10.1016/0014-2921(82)90039-3 . BATCHELOR, R.A. (1982). MONEY AND MONETARY-POLICY IN INTERDEPENDENT NATIONS - BRYANT,RC. JOURNAL OF INTERNATIONAL ECONOMICS, 13(3-4), pp. 395–396. doi:10.1016/0022-1996(82)90068-X . BATCHELOR, R.A. (1981). AGGREGATE EXPECTATIONS UNDER THE STABLE LAWS. JOURNAL OF ECONOMETRICS, 16(2), pp. 199–210. doi:10.1016/0304-4076(81)90107-X . BATCHELOR, R.A. and SHERIFF, T.D. (1980). UNEMPLOYMENT AND UNANTICIPATED INFLATION IN POST-WAR BRITAIN. ECONOMICA, 47(186), pp. 179–192. doi:10.2307/2553235 . Batchelor, R.A. (1977). Sterling Exchange Rates 1951-1976: a Casselian Analysis. National Institute Economic Review, 81(1), pp. 45–66. doi:10.1177/002795017708100105 . Batchelor, R.A. (1977). A Variable-Parameter Model of Exporting Behaviour. Review of Economic Studies, 44(1), pp. 43–57. Batchelor, R.A. (1975). Household Technology and the Domestic Demand for Water. Land Economics, 51(3), pp. 208–208. doi:10.2307/3145086 . Batchelor, R.A. and Bowe, C. (1974). Forecasting UK international trade: A general equilibrium approach. Applied Economics, 6(2), pp. 109–141. doi:10.1080/00036847400000003 . Batchelor, R.A. and Ramyar, R. (2006). Magic numbers in the Dow. London: Cass Business School. Professional training in finance, economics and forecasting. Various forecasting consultancy projects. Analysis of gold as an investment, and other aspects of the internatinal gold market. International Journal of Forecasting, Member of Editorial Board, 2008 – present. Foresight: the Practitioner Forecasting Journal, Associate Editor, 2005 – present. International Journal of Forecasting, Associate Editor, 1993 – 1997.
International Symposium on Forecasting. (Conference) Boston (2012). Organising Committee. The Role of Expectations on Financial Markets. (Conference) Mannheim (2012). Invited speaker. International Symposium on Forecasting. (Conference) Prague (2011). EBAA, Keynote speaker. (Conference) Agra, India (2011). Invited speaker. International Symposium on Forecasting. (Conference) San Diego, USA (2010). Conference on Qualitative Expectations, Keynote Speaker. ETF Zurich (2010). Invited speaker. Macroeconomic Forecasting Conference. (Conference) ISAE Rome (2009). Organising Committee. International Symposium on Forecasting. (Conference) Hong Kong (2009). International Symposium on Forecasting. (Conference) Nice, France (2008). Invited speaker. International Symposium on Forecasting. (Conference) New York (2007). Invited speaker. CESIfo Seminar Series. (Seminar) Munich, Germany (2006). Invited speaker. Inflation Expectations. (Conference) National Bank of Poland, Warsaw (2006). Invited speaker. International Symposium on Forecasting. Santander, Spain (2006). The State of Macroeconomic Forecasting. Leipzig, Germany (2005). Technical Analyst Conference. London (2005). International Symposium on Forecasting. San Antonio, USA (2005). Forecasting Financial Markets. ESCP Paris (2004). Why are profitable traders profitable? Merida, Mexico (2003). International Symposium on Forecasting. Merida, Mexico (2003). Forecasting Financial Markets (5/2002-5/2007). (Conference) London, Paris, Aix en Provence (2002). Organising Committee. International Symposium on Forecasting. Dublin (2002). UAE students choosing against universities that focus solely on US-style education. (2013) The National.ae (website). A global destination: MBA programs in Dubai. (2012) www.find-mba.comr (website). Leadership isnt a simple case of bold versus bad. (2012) CITY A.M (newspaper). A globalised MBA can come in a host of different wrappings. (2012) www.cityam.com (website). A globalised MBA can come in a host of different wrappings. (2012) CITY A.M (newspaper). Cass Business School Dubai Welcomes Fifth executive MBA class. (2011) www.uaetoday.com (website). Jailing Gulf debtors 'morally wrong' - economics academic. (2010) arabianbusiness.com (website). Family ownership of listed Gulf firms 'deterring investors'. (2010) arabianbusiness.com (website). Online Vs Traditional degrees: Which is better? (2010) www.gulfnews.com (website). Gulf Prospects seen positive in the long term. (2010) Emirates Business 24/7 (television). B-schools banking on Islamic principles. (2010) www.khaleejtimes.com (website). Euro slide may hit Gulf Exports. (2010) The National. Euro slide may hit gulf exports. (2010) www.thenational.ae (website). Hubris of traders who fell to earth. (2010) www.thisismoney.co.uk (website). Perfect place to put down roots. (2010) Times (newspaper). (2008) Fox Business News (television). The Da Vinci Code may be a great read, but secret codes hold no magic for investors. (2006) EPN Newswire. Charting the Future no sure-fire winner. (2006) Sunday Telegraph (newspaper). Making money: what the experts think Fibonacci debunked. (2006) The Week (magazine). Fibonacci - fact or fiction? (2006) Shares. Not since the 'big is beautiful' days have giants looked better. (2006) Daily Telegraph (newspaper). Market play by numbers debunked. (2006) New Zealand Herald (newspaper). DJ Asset Class: Taking the Fib out of Fibonacci. (2006) Dow Jones (website). It's arrivederci to Fibonacci, professor claims. (2006) The Independent (newspaper). Fibonacci's magic dispelled by new research. (2006) Global Investor Online (magazine). Discordant sounds from playing the charts. (2006) Ft.com (website). What the Dow's New High Means. (2006) Yahoo Finance (website).